Los Santos is a province of Panama, reaching from the La Villa river in the North to the Pacific Ocean in the south and east. It is part of Azuero Peninsula, bounded by province of Herrera to the north and northeast and Mariato disctrict in Veraguas to the West. The City of Las Tablas is the capital and most populous city; seven other disctricts of Los Santos, Guarare, Las Tablas, Macaracas, Pedasi, Pocri and Tonosi are under the jurisdiction of Los Santos Province Governorate. Los Santos area is 3 809.4 km ², and its population is about 89,592 inhabitants. In this region are the oldest human settlements in the Isthmus of Panama. 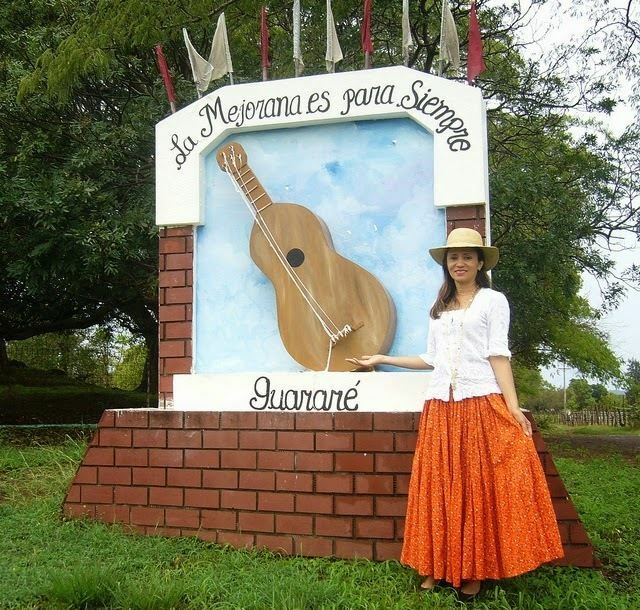 It was part of the cultural region of Gran Cocle where one of the first ceramic styles of the Americas developed. The first Europeans to explore Los Santos were the Spanish in 1515 under the command of Gonzalo de Badajoz. Upon the arrival of Europeans the area was ruled by the cacique Antataura or Cutara, and was known as the Land of Mr. Paris or Parita from Ngabere Bari-ta meaning Confederation of Peoples, having under his control six other Indian chiefdoms: Guarari, Quema, Chiracoitia, Huere, Guanata and Usagana. The only province that was not under his dominion was Escoria. Gaspar de Espinosa succeeded in conquering and annexing Pariba to the Spanish Empire in 1516, decimating nearly all of the native population. 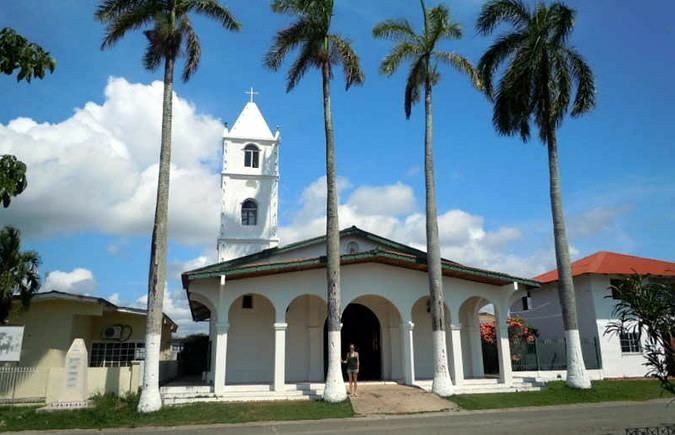 Geographically, Los Santos is located in the Arco Seco, name given to the strip of land between the Gulf of Panama and the Central Mountain range which includes areas of the provinces of Cocle, Herrera and Veraguas in the south of the Isthmus of Panama. Its climate is mainly a tropical savanna climate with moderate temperatures, strongly influenced by the winds of the Pacific Ocean crashing against the mountains, and the Humboldt Current. The average annual rainfall is 1,200 mm, allowing the growth of either dry or humid rainforest. Its highest point is located at the peak of Cerro Hoya with 1559 metres. Other major peaks are Cambutal hill (1400 metres) and Mount The Nopos (1068 metres). The modern province of Los Santos, was created in January 1945 replacing the defunct province of Azuero according to Cabinet Decree No. 13, leaving its territorial regime regulated by the second chapter of the Law 58 of July 29, 1998, losing the Territory of Quebro in this process. Although Los Santos closely shares its political and social history with the rest of Panama, and the vast majority of the population speaks Spanish, the province has retained a distinct cultural identity. 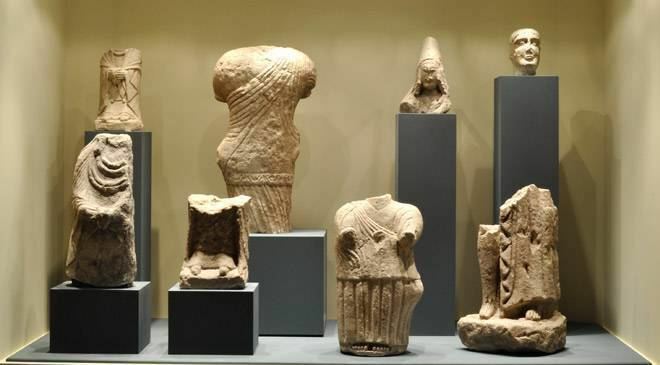 Los Santos culture is the result of the passage of different peoples and civilizations that, over time, have shaped a particular cultural identity. These people, some very different from each other, have been slowly leaving an imprint seated among the inhabitants. It is one of the last regions in Panama where Spanish voseo is the standard form for use. The mainland of Los Santos comprises most of the southern portion of the Azuero Peninsula, which lies in the south of Panama and two main islands, Iguana Island and Canas Island, and the small Isla Frailes del Norte and Isla Frailes del Sur. The total area is 3,809.4 km2 with 214 km2 of coast shores, comparable to the size of Cape Verde. Los Santoss border with Herrera to the north, runs along La Villa river, which exerts a natural border, although both sides of the river show the same landscape. The Pacific ocean borders the south and east with a large area of coastline, giving it a major maritine landscape. Finally, Mariato disctrict west border is characterized by its mountainous natural shape, separating the Gulf of Montijo in Veraguas from the valleys of Tonosi. In 1850, the province of Azuero was created in honor of Vicente de Azuero y Plata. In 1855, with the establishment of the "Estado Federal de Panama", the province was divided into the departments of Los Santos and Herrera. After the union with Colombia, and later with Panama becoming a sovereign state, Los Santos underwent many political and administrative changes. In 1941, with the presidency of Ricardo A. de la Guardia (1941–1945), Los Santos and Herrera were established as one province, named Los Santos. By the Decreto de Gabinete N° 13 of January 8, 1945; Herrera and Los Santos became two different provinces. 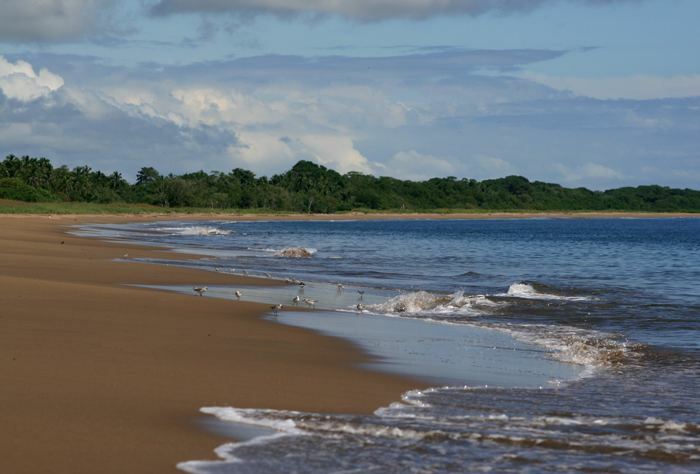 There are many well-renowned beaches, as found in Venado, Achotines, and Guarare. There are also beaches on the island, Isla Iguana, known for its blue water and white sand. The island is 25 minutes by boat from Pedasi. There are also parks here, such as the national park Cerro Hoya. There are also museums like the: Museum of Nationality (Museo de la Nacionalidad), the Museum Belisario Porras and the Museum Manuel F. Zarate. There is also an arqueological site here called the Sitio Arqueologico Cerro Juan Diaz. There is also the Church of San Antonio and the Church of Santa Librada (made on March 1872). In 1958, a fire burned the Santa Libradas roof. Las Tablas is the capital of the province, one of its biggest attractions is the church of Santa Librada, considered a national monument. The city lives all its splendor during the Carnival celebration that lasts 4 days and 5 nights, being the headquarters city of Las Tablas Best Carnival of the republic, where one of the main attractions of the carnival in Las Tablas, are famous or culecos mojadera, which is sprayed with water (clean and purified) to the participants of this activity from sisternas cars (especially pre-sterilized for this activity) located throughout the park and surrounding streets are where the carnival, while can admire the tour of the queens of both streets, street up and down the street on spectacular floats, and suitable for this activity packed day, with the notes of the contagious and famous and well known murgas of Panama (which also have its epicenter in the town of Las Tablas, where the best murgas the country), do jumping and dancing for joy to young and old alike, unable to contain her joy and excitement following the queen with the most sympathetic all day without stopping or until the forces accompanying the activity takes place during four days of carnival, another attraction of this carnival is wasteful luxury and splendor of the costumes shown in the queens and their ladies, and the designs and finishes epectaculares floats of both daytime (from culecos or mojaderas) and evening, reaching its greatest splendor Carnival on Monday, his grace and charm of women represented in their Tablena and queens in ladies of his court to make the carnival Tableno one of the best and most famous carnavals the world. Another well-known celebration is Corpus Christi, a religious holiday which dates its beginnings to the colonial era. It commemorates the institution of the Eucharist in the mix with pagan festivals represented by different dance, which today form part of the folklore of the region, this activity takes place in the City of La Villa de Los Santos. Los Santos is the place to see the beautiful hand-woven Polleras, the typical costume of Panama. Here you will find artisans who make masks of the famous "Diablicos".